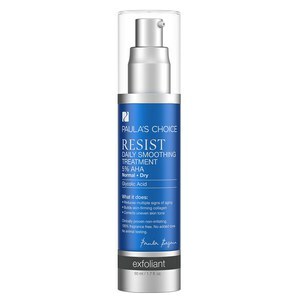 RESIST Anti-Aging Clear Skin Hydrator contains an exclusive complex of proven anti-wrinkle and skin-clearing ingredients that renew and restore your skin, making it look younger, even-toned, and fresh. Powerful antioxidants and skin-repairing ingredients stimulate healthy collagen production, repair sun damage, and fade red marks and discolorations from past breakouts. 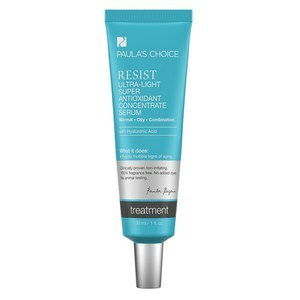 Lactoperoxidase helps eliminate breakout-causing bacteria, while soothing agents calm skin and enhance its natural repair process. This silky, gel-lotion hydrates your skin for a healthier surface that feels wonderfully smooth. It brightens your skin with a radiant matte finish that perfectly preps it for makeup application. Silky gel-cream hydrates and firms. Fades red marks from breakouts. Repairs multiple signs of aging. At night, dispense 1-2 pumps and apply over entire face. Use as the last step in your skin-care routine. For daytime, follow with a broad-spectrum sunscreen rated SPF 25 or greater. Water, Cyclopentasiloxane, Octyldodecyl Neopentanoate, Vinyl Dimethicone/Methicone Silsesquioxane Crosspolymer, Glycerin, Sodium Ascorbyl Phosphate (stabilized vitamin C), Cetyl Alcohol, Niacinamide, Dimethicone, Butylene Glycol, Cetearyl Alcohol, Glyceryl Stearate, PEG-100 Stearate, Polysilicone-11, Adenosine, Epigallocatechin Gallate, Glucose Oxidase, Lactoperoxidase, Boerhavia Diffusa Root Extract, Xanthan Gum, Glucose, Ceteareth-20, Decyl Glucoside, Citric Acid, Phenoxyethanol. I have combination skin. Most products cause breakouts, but this one moisturizes without being heavy or having a strong scent. My skin is clear and soft. And I think it even helps lessen wrinkles, which is great for my 55 year old face!